Animal advocates want state officials to inspect Natural Bridge Zoo and relocate its elephant, Asha, because they claim the 36-year-old mammal is being kept in a cold, damp barn. The Animal Defense Partnership, along with other animal advocacy groups, filed a complaint on Jan. 27 with the Virginia Department of Agriculture and Consumer Services. “The current climatic conditions of western Virginia, including snow, ice and freezing temperatures, present a threat to Asha’s health and well-being,” the complaint said. Mike Wallace, a spokesman for the agriculture and consumer services agency, said the complaint has been sent to both the U.S. Department of Agriculture Animal Care Program and Rockbridge County officials. Rockbridge County Administrator Spencer Suter said Sheriff’s department Capt. Tony McFaddin went to the zoo on Jan. 30 to follow up on the complaint. “I found nothing that matched any complaints that I saw,” McFaddin said. He said he went to the zoo to make sure Asha had shelter, food and water. He said he saw an insulated, heated building with a dry floor. This is not the first complaint against the zoo. In March 2018, the same advocacy group filed a complaint with a different state agency, the Virginia Department of Game and Inland Fisheries. It is still being reviewed, said Robert Walker, the department’s agency outreach director. Advocates have been under the impression that for 14 years, Asha has been housed “in [a] cold, damp barn” by herself, according to the Jan. 27 complaint. They want officials to conduct an inspection to “ensure that [the zoo] is taking appropriate measures” to provide “adequate housing” for the mammal. The Association of Zoos and Aquariums says in its accreditation standards for African elephants that the mammals cannot be exposed to “temperatures below [40 degrees Fahrenheit]  for longer than 60 minutes” because of the risk of contracting hypothermia. Last week, outdoor temperatures in Natural Bridge dropped below 40 degrees. Advocates also argue that socialization with other elephants is essential for the health of the species. According to the Association of Zoos and Aquariums’ standards, there should be at least three elephants in a zoo’s exhibit. Denise  Gaug, a member of the Florida-based captive elephant advocacy group Save Nosey Now, said the Natural Bridge Zoo is not held to such standards because it is not accredited by the Association of Zoos and Aquariums. The advocates want Asha to be relocated to one of the two accredited elephant sanctuaries in California or Tennessee if the zoo fails its proposed inspection. He said the USDA has conducted six inspections over the last two years at the Natural Bridge Zoo. All included inspections of Asha and her shelter. Walker said the USDA did not find any violations. The only problem identified was Asha’s toenails. 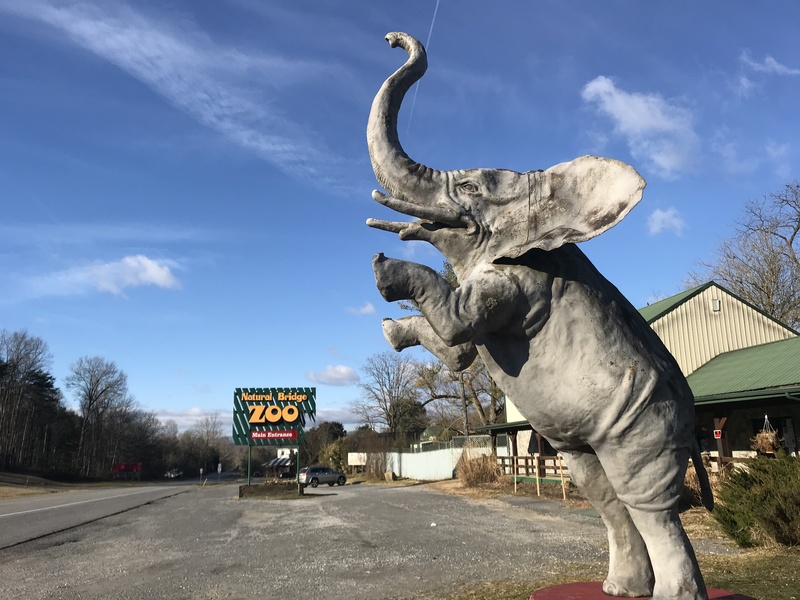 Virginia zoos must have a license from the USDA to possess an elephant and a state permit from the Department of Game and Inland Fisheries to exhibit the mammal. Walker said that Natural Bridge Zoo has a federal license from the USDA to house Asha. It also has a permit from the Virginia Department of Game and Inland Fisheries to display her publicly. In 2015, a USDA inspection cited Natural Bridge Zoo with 44 violations of the Animal Welfare Act. The violations included “excessively muddy” and rusty enclosures. 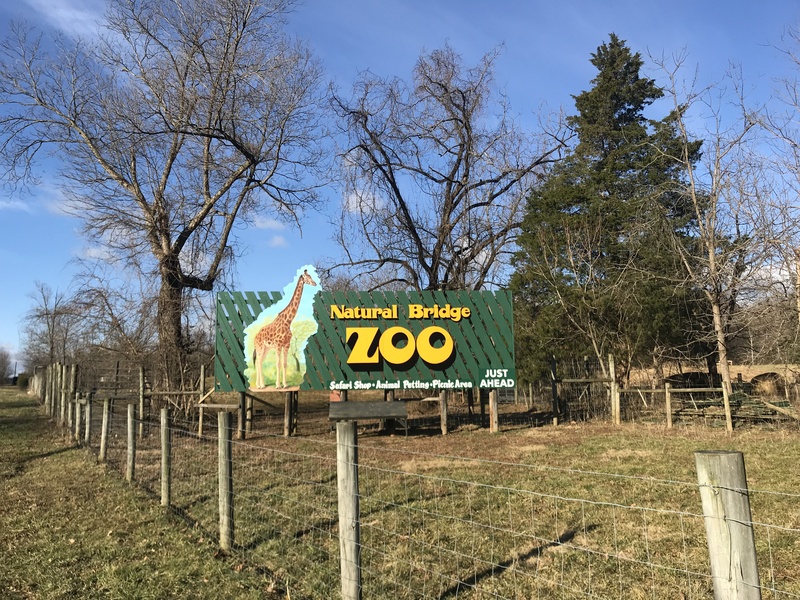 Federal officials told the Department of Game and Inland Fisheries that they gave the Natural Bridge Zoo extensions to fix the violations. The Department of Game and Inland Fisheries suspended the zoo’s permit for about eight weeks after the USDA’s 2015 inspection. Walker said the USDA gave the zoo the extensions to allow enough time to make the fixes. Natural Bridge Zoo did not respond to several calls and an email seeking comment. The zoo is closed for the winter season. Ebert said he hasn’t heard anything from the state agency or the zoo.